The girls want to have a fourth of July celebration this year. We are going along with it since their idea of celebrating is staying up until the sun sets and having more vegan s'mores. I am whipping up a quick little festive bunting to hang outside by our table. 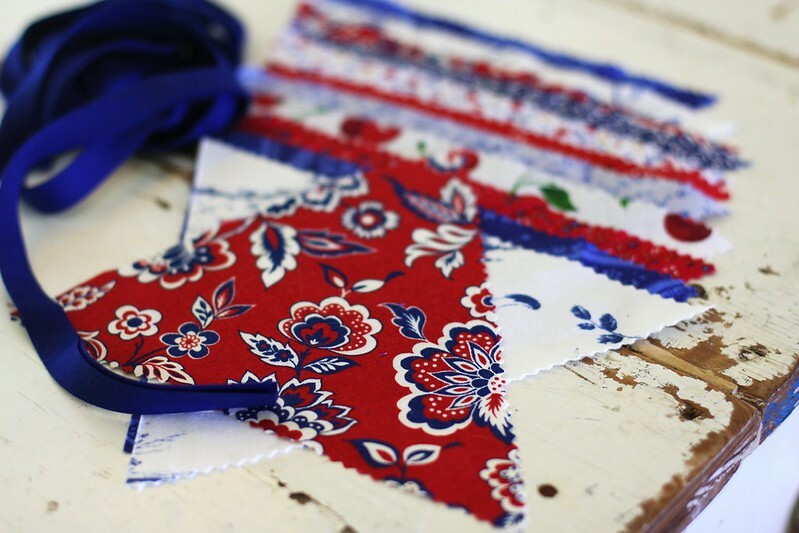 I am just using scraps I already had on hand so it's not exactly your typical red, white and blue bunting but it will do. I need to get making our healthy homemade "Patriotic Popsicles" (Recipe here) for the celebration, too. This year we'll be using soy yogurt, though. I can't thank you enough for your encouraging words and advice on yesterday's post. I was a bit hesitant about the nursing/weaning topic simply because there are so many opinions on this matter and I didn't want to possibly hurt anyone's feelings. I have a feeling many of us have a lot in common and parent quite similarly. Thank you for shining your inner lights and keeping it all so positive. I hope maybe your words of wisdom might help out other Mamas in my situation, as well as me. I'll keep you updated on how it all goes! p.s - I think you guys know what big fans we are of Sparkle Stories - we just can't get enough of them. So, of course, I had to share that they currently have a free Martin and Sylvia (our favorite series) summer story available. You can find it here. Take a few minutes out of your day to cool down and listen while relaxing with your little ones and a fruit smoothie!